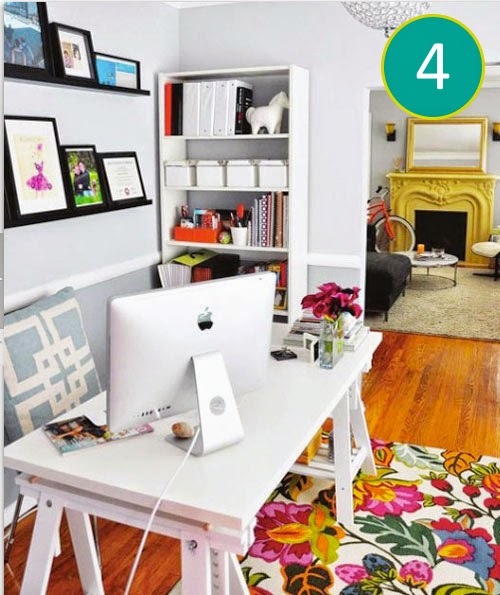 In preparation for my move to a new apartment in a couple of months, I've been checking out home offices on Pinterest. I'm excited that I should be am moving to an apartment that will be large enough for me to actually have a separate office/studio space! Yay to no more tiny studio apartment living! 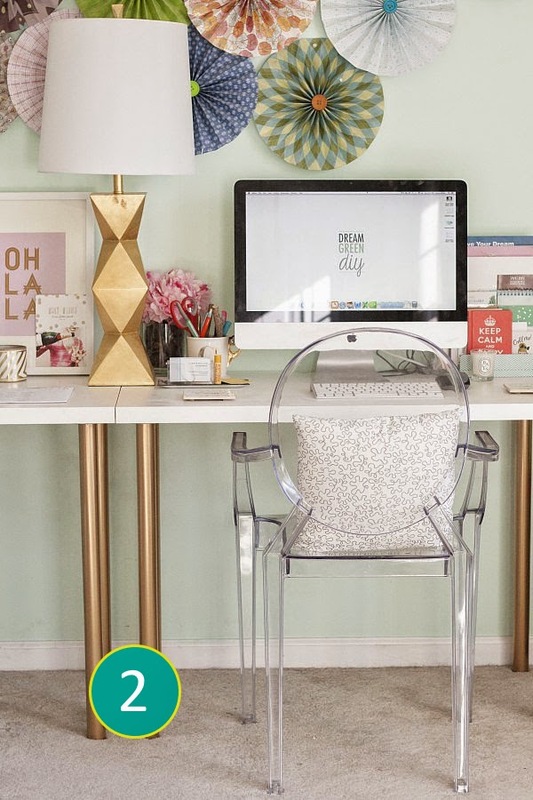 I wanted to share with you 10 fabulously chic home offices that have been my main source of inspiration as I plan for my big move. 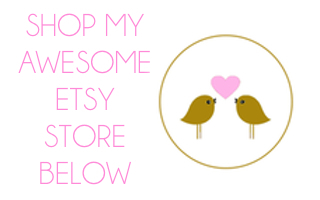 I hope you find as much inspiration and love in them as I do! I love the idea of having a chic bar car in my home office! 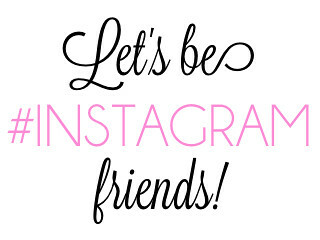 It would be great to have for when clients/business partners come over for meetings. I also like that this office isn't afraid to go bold with pattern mixing; bringing in stripes, floral, animal print & more! I adore these handmade pinwheels as wall accents! Not only do they add an incredibly unique element to the home office, but they are something that the designer had to make by hand; adding even more love to the office. 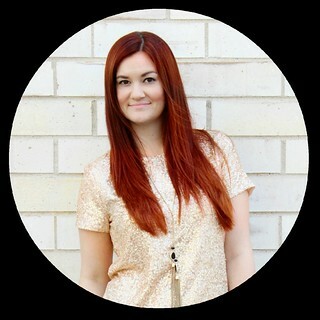 One of my favorite trends right now is mixing pinks & golds. These colors bring together a sense of femininity and class to a room that is incredibly chic. I love that this designer started with a clean base of white and allowed her pink & gold accents set the tone for the room. I love that the rug in this home office demands to be noticed. It is the first thing that catches your eye the moment you look at this photo. Adding a bold rug can really set the tone for a room and allow you to create the rest of the look around the rug. I'm not sure why clear mod furniture has all of the sudden made a come back, but I must say I am glad it has! I love this clear chair. It gives the room such a level of class and sophistication. It allows you to draw your attention to the main focus of the room, the wall art, allowing it an even bigger pop! I love these L-O-V-E marquee letters! 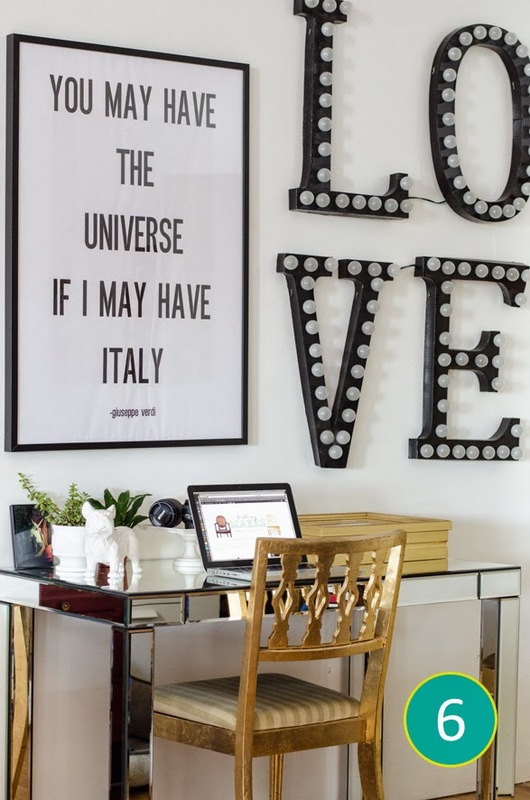 They bring in the glam of old Hollywood to this home office and hang as a bold wall piece. The probably could have stood alone. Perhaps I'll make my own letters that say "MAKE" for my office? 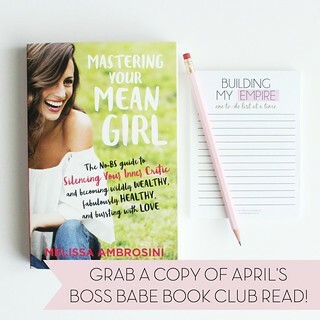 If you have over clients/business partners or if you just like to have room to craft with the girls when they come over, then this is the perfect room. I love this huge table with the window seat bench. 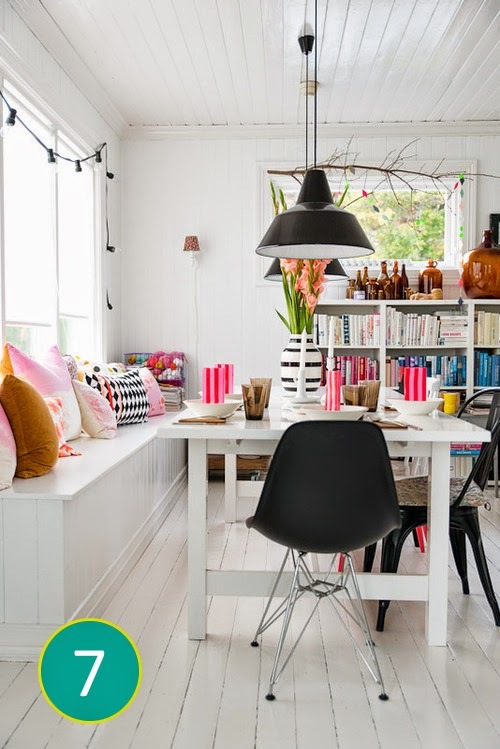 The thing that makes it even better is that you can pull the table away from the bench and allow people to relax or you can push the table towards the bench for more seating room around the table! I love things that are both chic and multi-purpose! 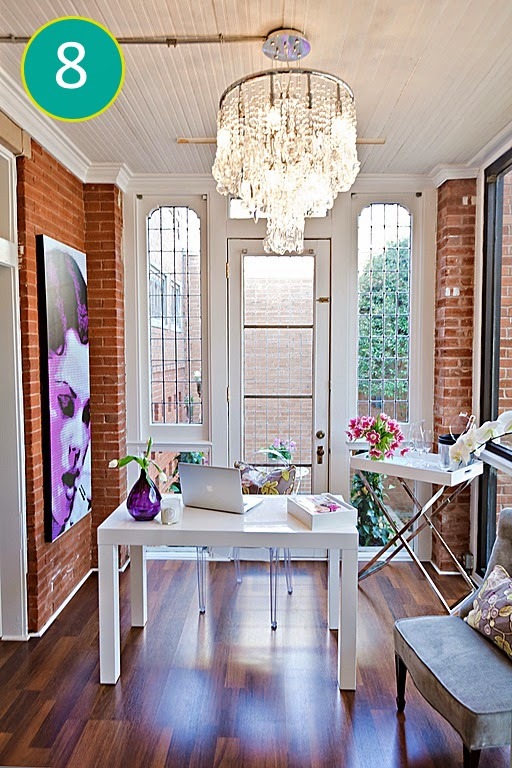 This has to be one of the most beautiful home offices I have ever seen. I love the mix of the industrial and the glamor by having a chandelier in a room with exposed brick. I love love love this hand painted flower piece for this office. It's quirky yet sophisticated. I even like how the books are just stacked up underneath the desk. This beautiful and feminine wallpaper just sets up the look of this entire home office. It makes the room look chic and upscale, while the desk and chair help bring in a homey/comfortable vibe. Adding wallpaper to just one wall in a home office can really make the room pop. It is also helpful for people who do not have a lot of art/prints to add to a wall and would rather have just one large piece instead. It's all about your preference. 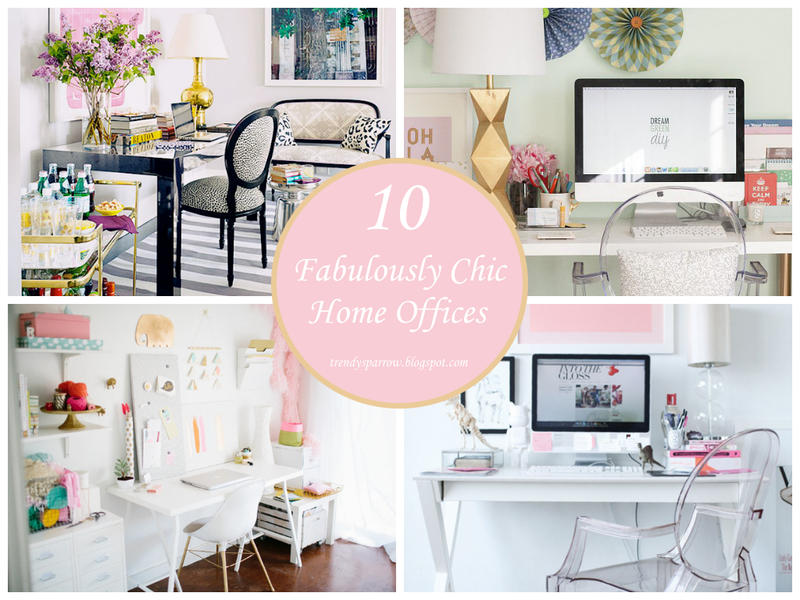 I hope you've found some inspiration in these fabulously chic home offices. 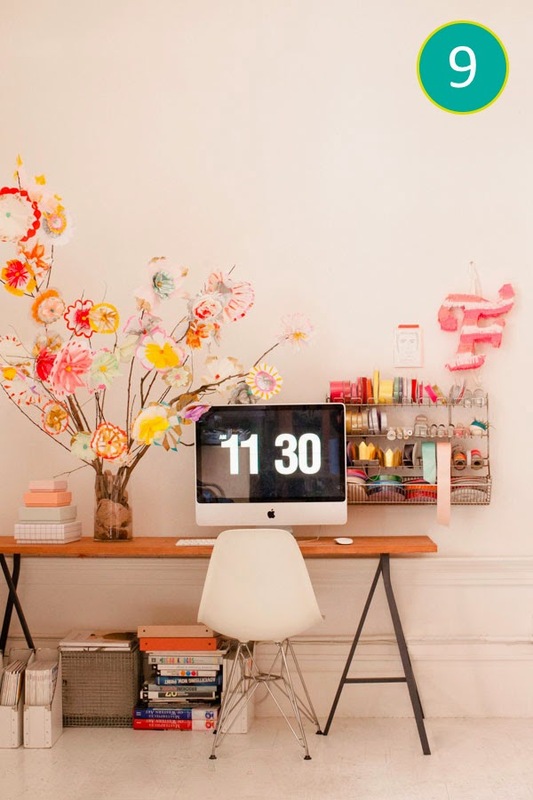 What home office really inspires you? 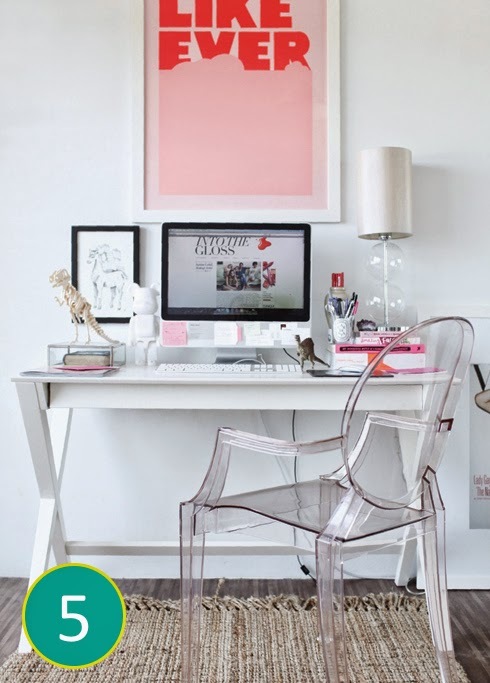 For more home office inspirations follow my home office Pinterest Board.